Henry David Thoreau was born on July 12, 1817 and died on May 6, 1862. During the twenty-four years in which he was actively writing, Thoreau wrote numerous texts that have since become classics of American literature and thought, including “Civil Disobedience,” a treatise on citizens’ rights and duties in response to an unjust government. In this treatise, Thoreau argues for a nonviolent, ethically- and individually-based response to governmental injustice. He wrote it largely as a reaction to the Mexican American War and slavery. By refusing to pay his poll tax, Thoreau simultaneously refuses to financially support a government that also supports slavery and military invasion. Although his individual action and night spent in jail did little to end slavery or the Mexican American War, it had great political value and continues to influence political protests today. The government, according to Thoreau, is not just a little corrupt or unjust in the course of doing its otherwise-important work, but in fact the government is primarily an agent of corruption and injustice. Because of this, it is “not too soon for honest men to rebel and revolutionize”. In a constitutional republic like the United States, people often think that the proper response to an unjust law is to try to use the political process to change the law, but to obey and respect the law until it is changed. But if the law is itself clearly unjust, and the lawmaking process is not designed to quickly obliterate such unjust laws, then Thoreau says the law deserves no respect and it should be broken. In the case of the United States, the Constitution itself enshrines the institution of slavery, and therefore falls under this condemnation. Abolitionists, in Thoreau’s opinion, should completely withdraw their support of the government and stop paying taxes, even if this means courting imprisonment. Under a government which imprisons any unjustly, the true place for a just man is also a prison…. where the State places those who are not with her, but against her,—the only house in a slave State in which a free man can abide with honor…. Cast your whole vote, not a strip of paper merely, but your whole influence. A minority is powerless while it conforms to the majority; it is not even a minority then; but it is irresistible when it clogs by its whole weight. If the alternative is to keep all just men in prison, or give up war and slavery, the State will not hesitate which to choose. If a thousand men were not to pay their tax bills this year, that would not be a violent and bloody measure, as it would be to pay them, and enable the State to commit violence and shed innocent blood. This is, in fact, the definition of a peaceable revolution, if any such is possible. Throughout his treatise, Thoreau seems acutely aware of the role that money and capitalism plays in American politics. He states that, although many in the North “are in opinion opposed to slavery and to the war… postpone the question of freedom to the question of free trade” (80). Additionally, his protest (refusal to pay the poll tax) is a financial protest by refusing to put his money into institutions with which he disagrees. Finally, he seems to build off of Emerson’s concept of self-reliance and the power of the individual. 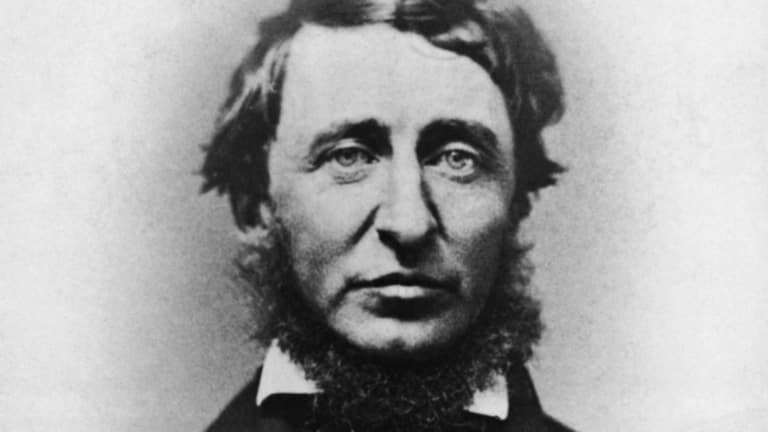 For Thoreau, the individual is the source of the government’s power (“The government itself…is only the mode which the people have chosen to execute their will” (75)), however, this system has become “perverted” by those in power and by American citizens who lazily fail in their duties towards the public good. Civil Disobedience (1849) by Caitlin Duffy is licensed under a Creative Commons Attribution-ShareAlike 4.0 International License.